Smaller Project 4-2, Circular Stairway » Roger Perron Inc. 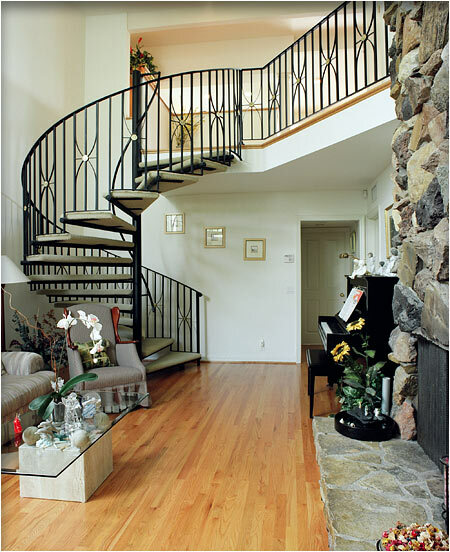 This circular stairway leads to the remodeled great room, as shown in photo 1. The stairway was built in the shop from cast steel and transported in sections prior to installation. In this floor plan the remodeled great room is on the second floor due to the wonderful view. Design plan and details of this Manhattan Beach home by Roger Perron, design-build contractor, with contributing architect Antonino Bruno for working drawing documentation.